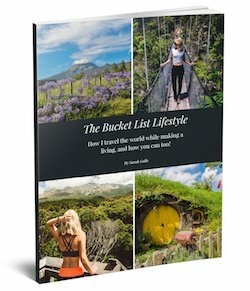 Have you ever seen photos of those awesome people on Instagram who seem to be driving through the wilderness with the roofs off their jeeps to get an even closer look at the wildlife? Well, I finally got to be one of those people. 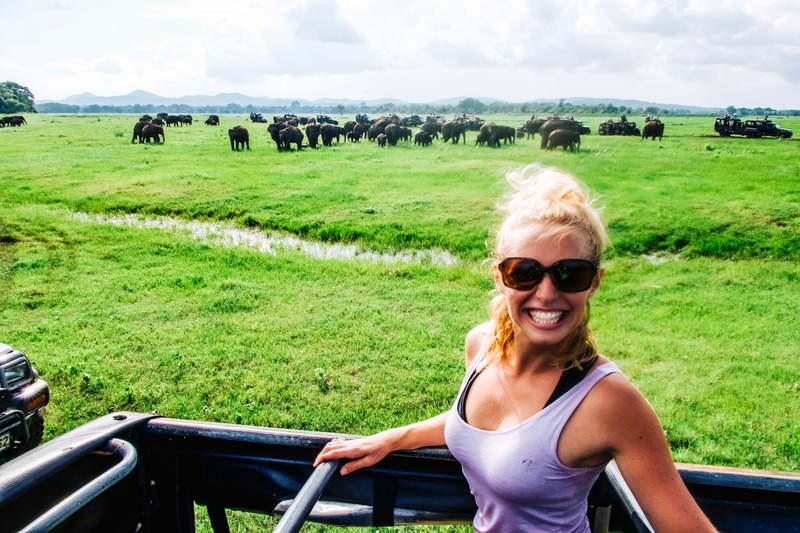 When I was researching safaris in Sri Lanka, I stumbled upon Lakpura LLC and saw that they offered game drives in various areas that I had yet to research. Upon delving into description after description, I realized that they offered safaris near the ancient city of Polonnaruwa, which was on my list of places to see! 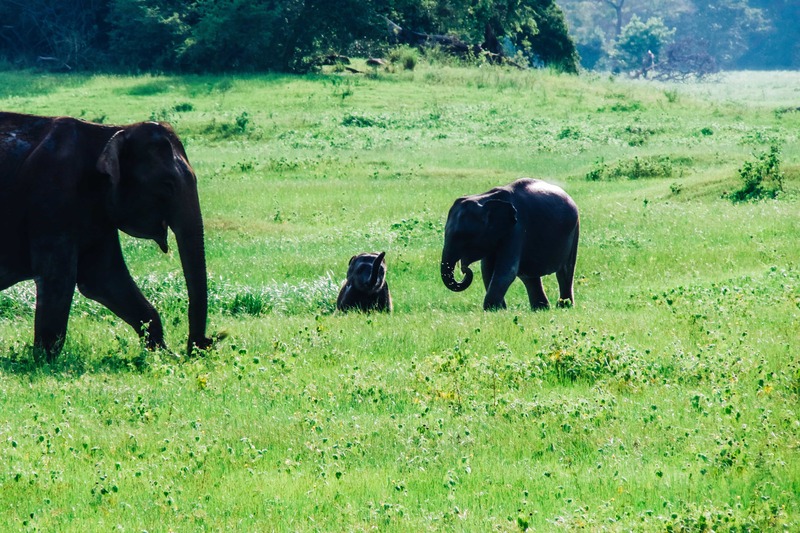 What I learned when speaking with Lakpura Travels, via Discover Sri Lanka, was that there’s an elephant migration between Minneriya, Kaudulla, and Hurulu Eco Parks. So while I had originally planned to do a game drive in Minneriya National Park, the company contacted me to ask if I would be open to a game drive in Kaudulla National Park instead, as that was where the elephants would be at that time of year. I loved that they weren’t just another company looking for a quick buck, but were honest in what I’d see and where I’d see it. 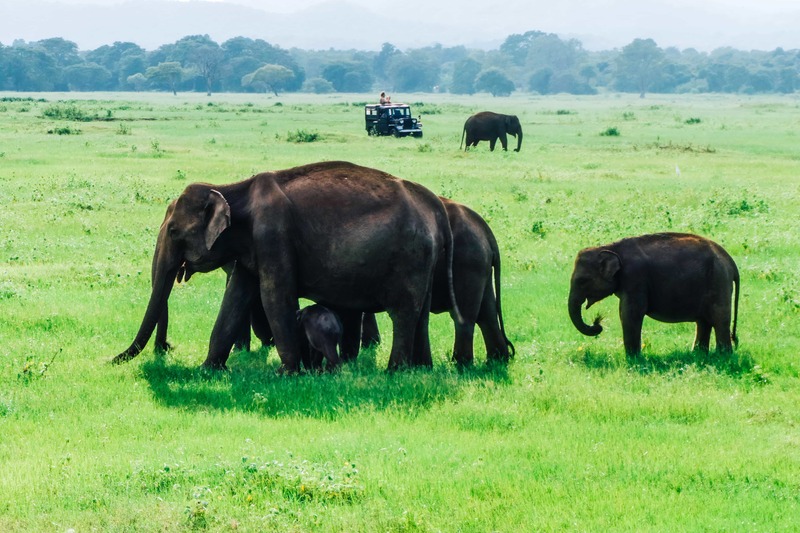 For those planning a trip to Sri Lanka to see wildlife, specifically elephants, it’s important to note that during the months of July to September, large groups of elephants are found in Minneriya National Park, then they migrate to Kaudulla National Park during the months of October and November (when I visited) due to high rains and lakes getting filled up, then finally the elephants move to Hurulu Eco Park for the last leg of their migration during December and January. We met our driver for an afternoon game drive, as we were advised that the elephants would be more active then… and we didn’t realize that we would have a private jeep! Once in Kaudulla National Park, our driver pulled the roof off our Jeep and told us that if we would like to stand or sit on top of the seats, to feel free. Before we knew it, we were on a jungle adventure! Wind blowing, jeep bouncing, branch dodging, and girls laughing just barely describes the feeling of freedom we felt while entering a game drive in a fully open-air vehicle. 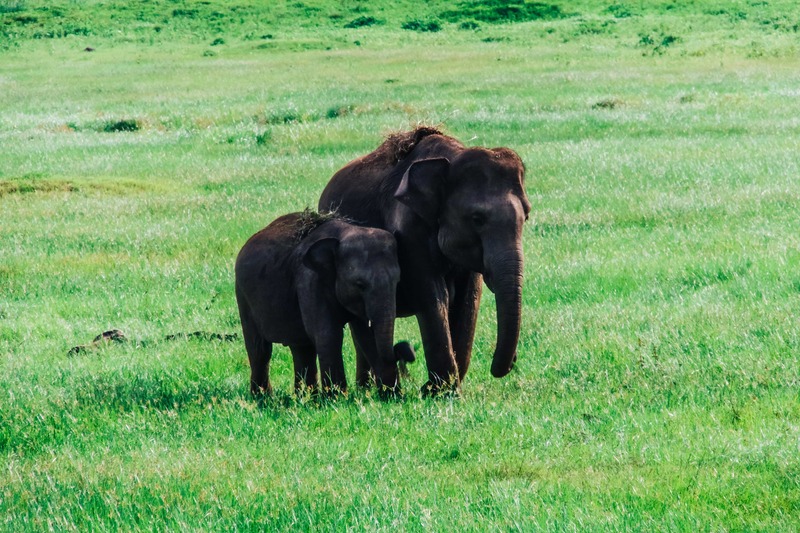 After getting a few branches to our faces – which was completely our own fault – the jungle opened up to the wild open plains of Kaudulla National Park, and we could see huge herds of elephants in the distance. 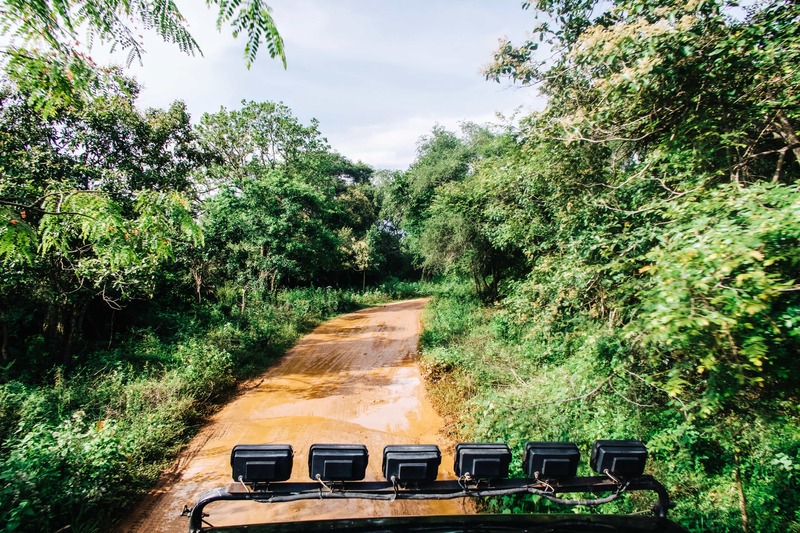 While they looked close, we didn’t realize that there was an entire muddy road keeping us from the elephants… so we slipped and slid our way to the elephants, tires spurting mud all over us… and we loved every minute of it. By the time we reached the elephants, we were grinning ear to ear. 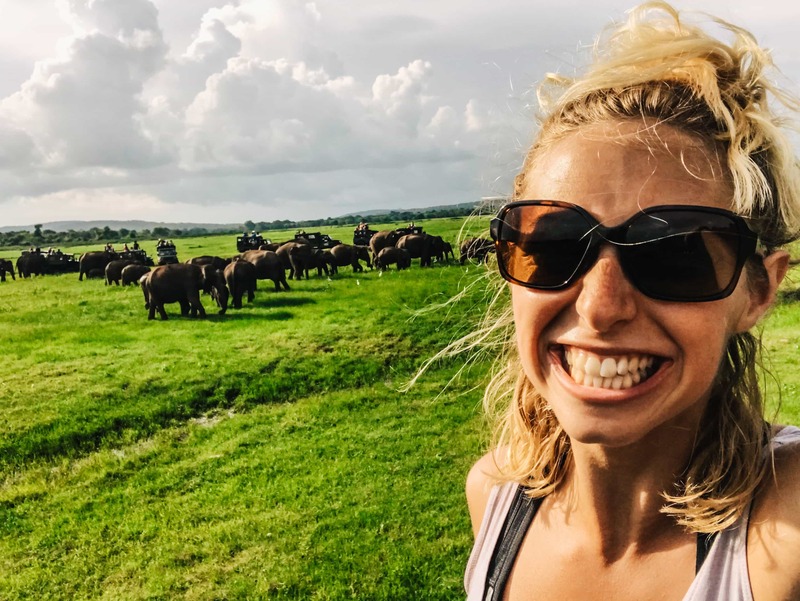 Not only did we have an incredibly fun jeep ride in, but there were hundreds of elephants – big and small – waiting for us! We spent quite a bit of time observing the elephants in the surrounding plains before heading back down the muddy road, back into the jungle, and out of the park. 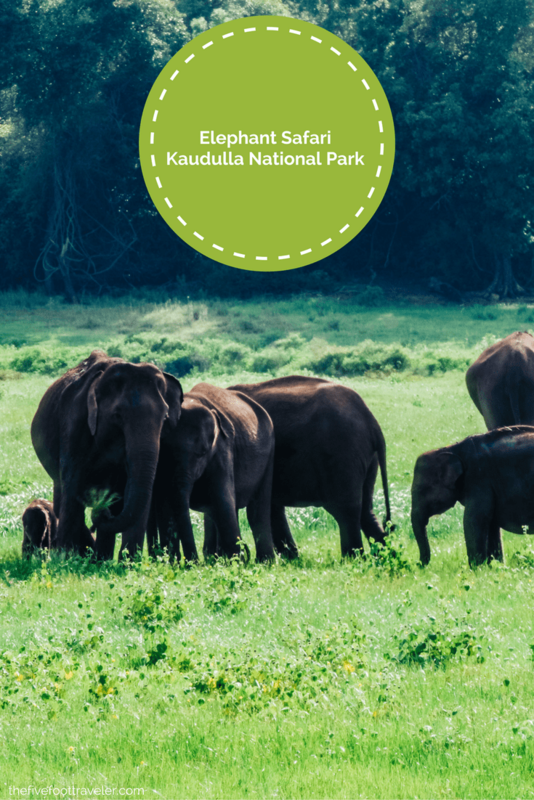 If you’re looking for an easy, enjoyable safari, Kaudulla National Park with Lakpura Travels – or the other connected parks depending on the time of year – is definitely a good choice! One of the reasons I’m happy to support Lakpura Travels is because they do not believe in the idea of promoting any activity that leads to animal cruelty, so they will not book Pinnawala Elephant Orphanage (you can see my alternative way to volunteer with elephants here) nor any Elephant Back Rides. Because I was so impressed with their services and morals on which the company runs, I’d like to offer you a discount code for Lakpura Travels’ tours. 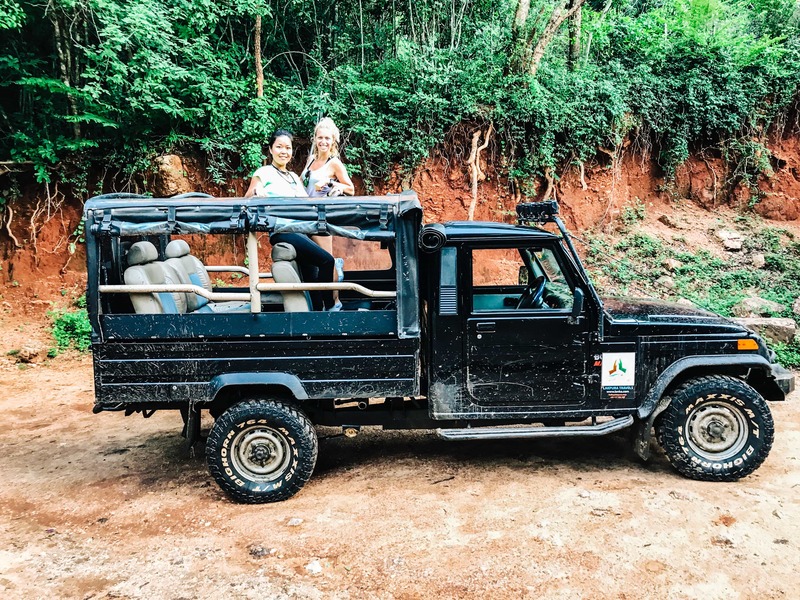 Go to discoversrilanka.com, choose your tour, and insert the code “5FOOT” at checkout – a one time discount of 10% will be applied to your order. The code can be applied to any bookings for anytime, however, the trip must be booked prior to June 30, 2018.